* This comes standard 6.5" adjustable to 7.5" with a built-in extender chain and lobster claw clasp. This is made to order so feel free to request a custom size, we are happy to accommodate! 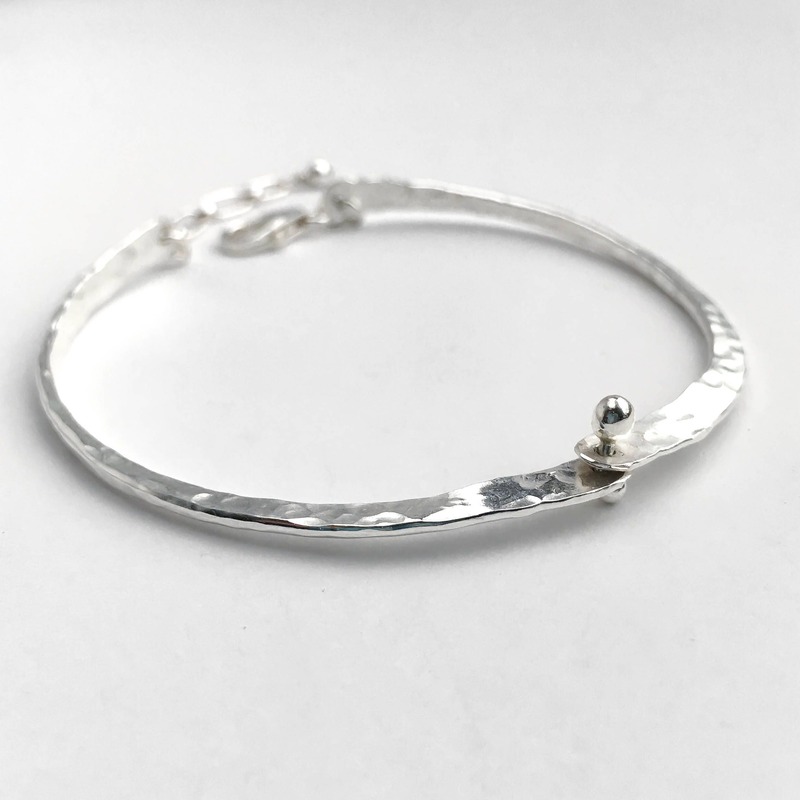 This hammered hinged bracelet is handmade with solid Argentium Sterling Silver. 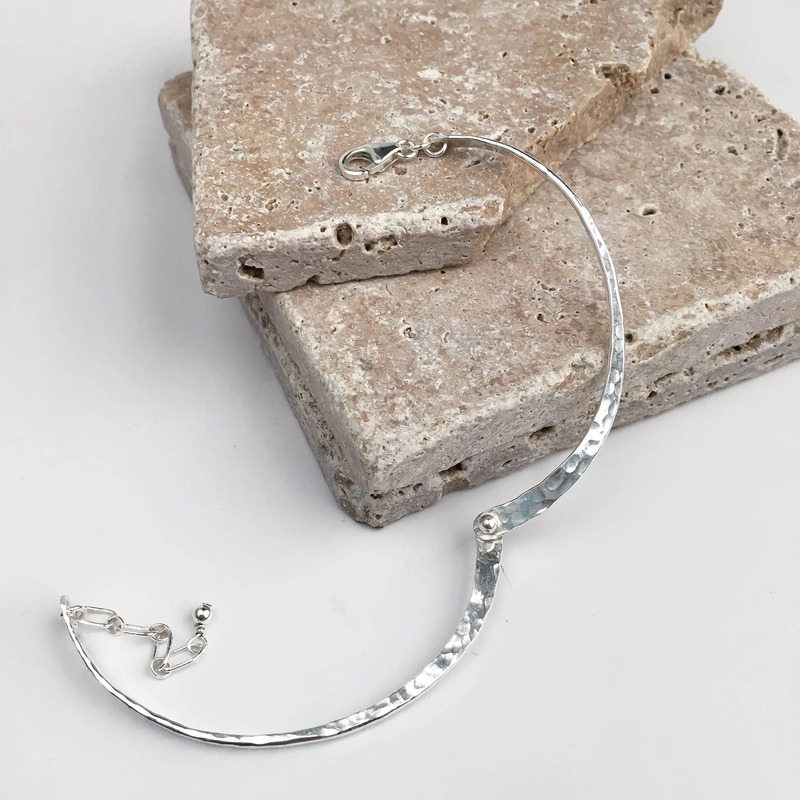 I start off with a heavy piece of silver that I form and texture with a serious of careful hammer blows repeated over and over until the unique shape is achieved. 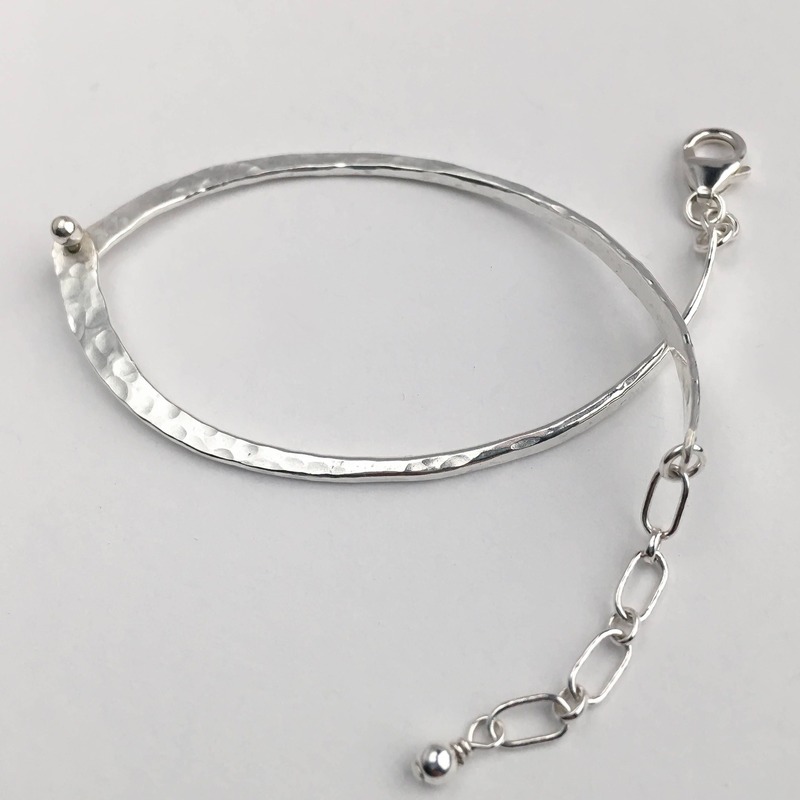 I give the silver a high polish to catch the light perfectly and the center of the bracelet is connected with a rivet to allow it to open and close easily to take it on and off. Stellar craftsmanship, communication, and service as usual! 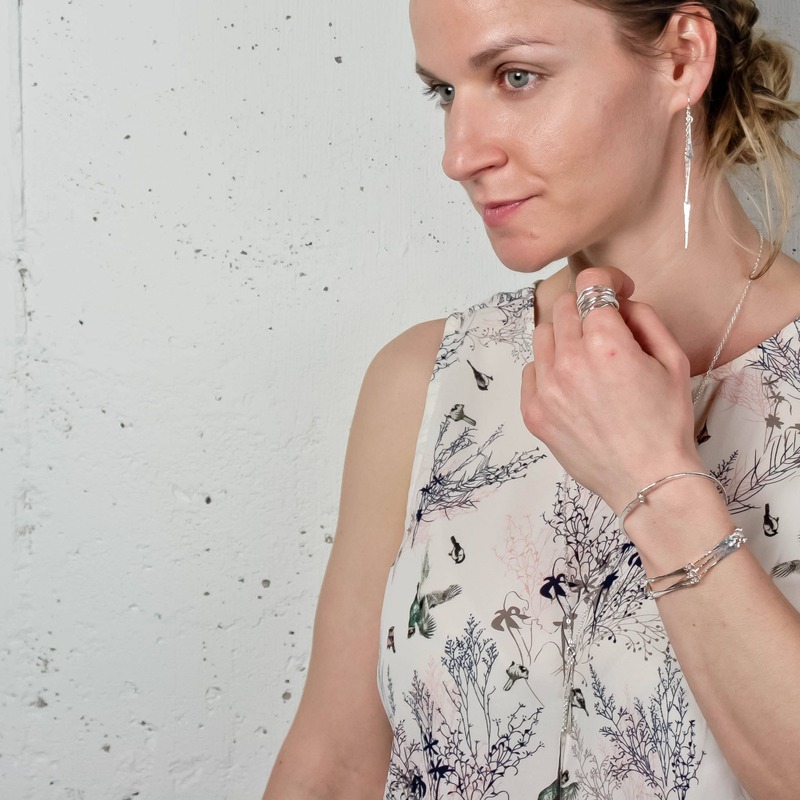 This bracelet is more delicate than I expected, which makes it all the lovelier. Such a meticulous design! 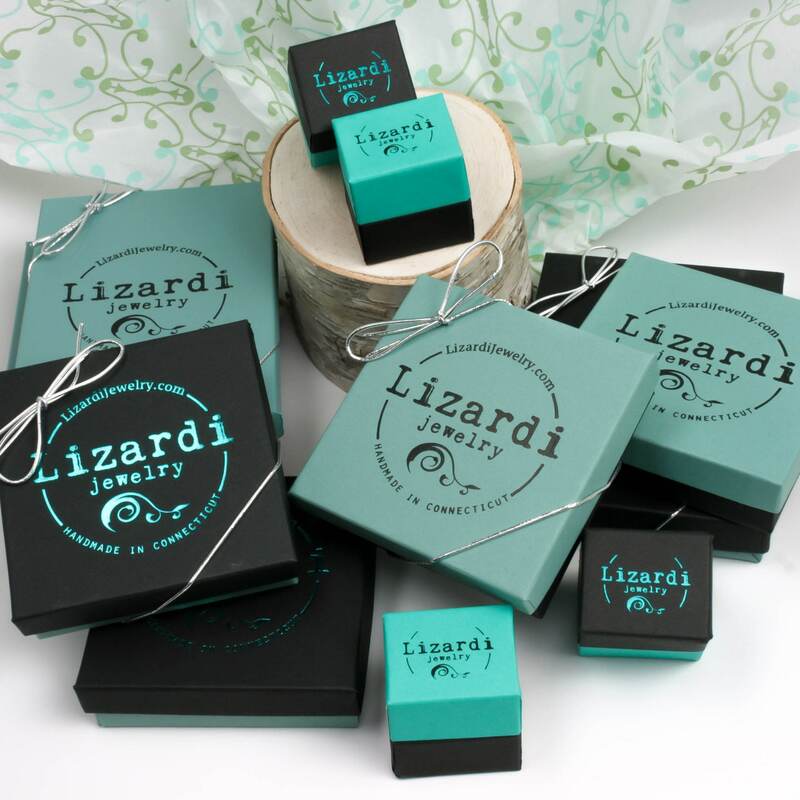 First, I have to say that Lizardi Jewelry is truly my favorite place to purchase silver jewelry. This bracelet IS my favorite of all! 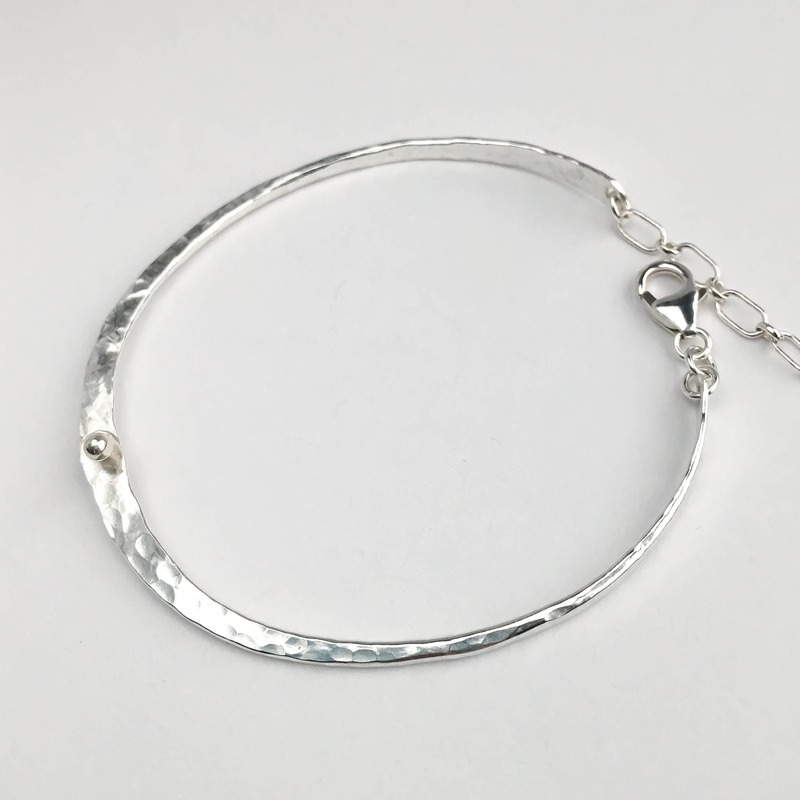 I LOVE the hinged bracelets and this one is my favorite of ALL TIME! Very beautiful and well made! I enjoy wearing it, and I particularly like the design.